How Are Children Internationally Abducted Via Cruise Ships? Under the Western Hemisphere Travel Initiative policy, a minor 16 years old or younger traveling by land or by sea abroad is not required to present a valid passport to travel. All that is required is a photocopy of a citizenship document, such as a photocopy of a birth certificate. This policy has created a significant loophole for would-be abductors intent to abduct or traffic a child abroad. Travel requirements for children traveling at sea are quite alarming. The porous documentation controls in place due to the WHTI facilitate child abduction opportunity at sea in unthinkable ways. For example, there are certain cruise ships that have ports of call in other countries that cater specifically to children. These cruise ships hold over 5,000 passengers and typically have weekly departures. With thousands of children boarding one of these cruise ships; we acknowledge it is clear there is substantial opportunity for a parental or non-parental child abduction to occur. Los Angeles-Long Beach, CA (1888PressRelease) August 30, 2011 - Best-selling author Peter Thomas Senese and Carolyn Ann Vlk are pleased to announce the official international publication of their ground-breaking international child abduction prevention open-tablet E-book titled 'THE WORLD TURNED UPSIDE DOWN'. Continuing the child abduction prevention advocates' commitment to assist targeted children and their parents against the rapidly expanding cruel criminal act of international parental child abduction (IPCA) while striving to raise the public's understanding and responsiveness to the growing epidemic of cross-border child kidnapping, Peter Thomas Senese and Carolyn Ann Vlk have made the highly illuminating and educational 'The World Turned Upside Down' (Pacifica 315 pp) available as a free E-book to ensure the published information will be immediately accessible. Comprising years of extensive research in the area of international child abduction, 'THE WORLD TURNED UPSIDE DOWN' is the intended cornerstone of the Peter Senese and Carolyn Vlk's pioneering vision to create an interactive cyber-library of educational resources and information pertaining to the global epidemic of child abduction. • Mr. Senese's critically acclaimed upcoming international legal thriller novel inspired by his own personal experiences as a Chasing Parent, titled 'CHASING THE CYCLONE'. Coinciding with Peter Senese and Carolyn Vlk's efforts to create tools that will help at-risk parents protect their targeted children is the advocates continued efforts to create or participate in dialogue that will either create or implement existing state or federal laws that will protect children including the State of Florida's 'Child Abduction Prevention Act' (Abduction Prevention [Abductor Risk Assessment]) the Federal 'Prevent Departure Program' (Abduction Prevention [Abductor Departure]), and online digital impersonation criminal laws in order to protect against malicious acts of identity theft, impersonation, and slander in international parental child abduciton cases enacted by a predatorial, abducting parent (California and New York State law[Protection Against The Hague Convention's Article 13 Defense]). Carolyn Ann Vlk, who drafted Florida's landmark 'Child Abduction Prevention Act' that is now law commented, "Our efforts to create the tools we have has had two purposes: tantamount to our efforts is to provide useful information that will help parents and courts prevent a child's kidnapping. But equally as important is to use the heavily researched information we have published in order to create legislative initiatives that will lead to the creation of new laws that will drastically reduce and eventually stop child abduction. Presently, we are currently working on three dynamic federal legislative initiatives that will make a dramatic differences in the lives of many if passed. 'THE WORLD TURNED UPSIDE DOWN' is one of the tools we have created and now have so we may continue to educate our nation's policymakers as we strive to add and implement legislation to help protect children." 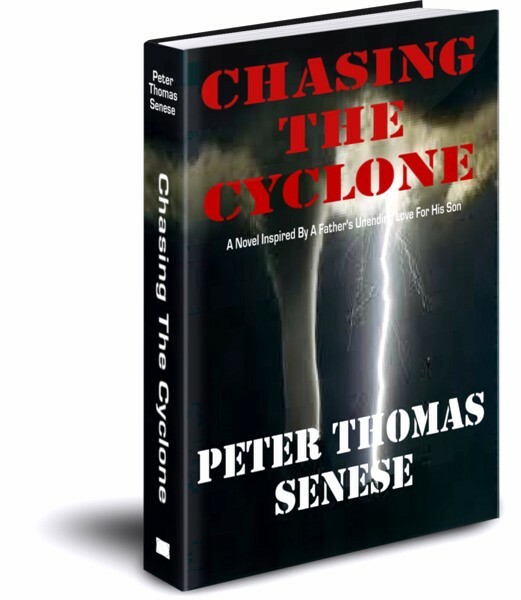 CHASING THE CYCLONE author Peter Thomas Senese added, "It has been Carolyn and my intent to continue to make a substantially helpful impact for defenseless children and their parents who are targeted by predator parents or others intent on committing the criminal, abusive, and cruel act of international child kidnapping. One of the many aspects that makes 'The World Turned Upside Down' a unique and beneficial book is that in its open-tablet E-book format we will be able to add new and relevant material and cross-index this information as it comes to light so individuals in need of the new information will have immediate access to it. "What we're creating is a living E-book that is expected to evolve into a single-resource for the millions of targeted parents, law enforcement officers, children advocates, and lawmakers who are interested in stopping child abduction. Along the way what we have realized is that the most efficient way to have an internationally abducted child legally returned - something that is extremely - extraordinarily difficult to do - is to not allow the abduction to occur to begin with. Prevention is critical. Yet major flaws exist at all levels of protection, from a lack of laws, to an uneducated judiciary, to a failure by the courts and law enforcement to uphold abduction laws. Undeniably, every nation must protect its children from abduction, particularly as we become a more globally connected community. Thus, our legislative efforts focus on child abduction prevention from within our border, though there undeniably must exist a serious political and diplomatic effort to enforce international treaties in full. 'The World Turned Upside Down' is a highly informative tool not only for targeted parents, but for lawmakers as we move our legislation initiatives forward." Carolyn Ann Vlk included, "Peter Senese and I have been extremely committed to raising the public's awareness on the high-growth and seriousness of the crime of international parental child abduction while also seeking to implement child abduction prevention measures. 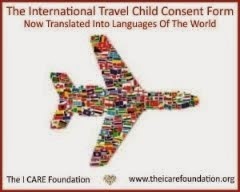 Our present activity includes creating new legislation that will close the significant abduction and trafficking loopholes associated with the 'Western Hemisphere Travel Initiative' that clearly has created a black hole on international abduction and human trafficking We're actively engaged in creating legislation that will hold non-citizen child abductors accountable for their kidnapping crime with respect to our nation's immigration policy. And we're actively seeking solutions that will take a stand against dual-passport issues with respect to a child of duel citizenship possessing a foreign passport when this child has been declared a risk for criminal abduction by one parent. "In our extensive voluntary child abduction prevention advocacy together, Peter and I continue to ask the questions, 'How and why are our children being criminally internationally abducted at such staggering rates, and what can be done about it?" 'The World Turned Upside Down' takes into consideration, and offers answers to many facets of these questions while also providing valuable insight on the issues at hand that are based upon our extensive and ongoing research as demonstrated." 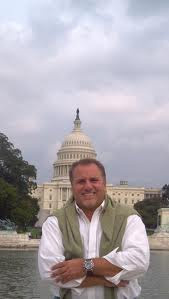 Peter Thomas Senese, reached in Washington, D.C. where he was actively working on a legislative initiative that would modify the WHTI policy added, "Tragically, there is limited social understanding as to the inherent cruel acts of child abuse and serious dangers associated with the pandemic of international parental child abduction. And despite parental child abduction being a federal crime of kidnapping in the United States, as well as in most every other nation, the growth of these malicious acts against children has increased in substantial part due to failures by lawmakers to create child abduction prevention laws, and more glaringly, even greater failures by the judiciary to implement and uphold these laws created in order to protect children from the act of international criminal kidnapping. Thus, in part, it is our hope that 'The World Turned Upside Down' sheds further light into just how dangerous a situation we have on our hands, while offering certain solutions that can make a sizeable difference in curtailing the unyielding growth of international parental child abduction and child trafficking. In reality, there are very real solutions that can be implemented that will dramatically reduce the number of criminal abductions, I think the key is to look within at prevention issues, while of course, holding all nations accountable who do not comply with international law." According to Carolyn Ann Vlk, "The statistical challenges of this pandemic as published in 'Crisis In America: International Parental Child Abduction Today' Peter Senese and I previously released include the harsh reality that many nations do not even attempt to keep record of how many children are criminally removed from their borders each year. And those nations that do, such as the United States, have only published the 'reported' number of cases without providing any insight into what clearly is a much more sizeable number of 'unreported' cases of international child abduction. There are millions of children each year around the world who are targeted for abduction each year, with a substantial number of these children intended to be removed from their native country of origin. In fact, if the growth rate of international parental child abduction continues to rise as projected, in the year 2020 alone the United States will have more children criminally parentally kidnapped from our nation's borders than can fill a professional baseball stadium!" The title for the publication 'THE WORLD TURNED UPSIDE DOWN' was created due to the reality that many parents who are targeted for international parental child abduction enter into a nightmarish ordeal where limited help and understanding is found, and the majority of criminally kidnapped children are never returned. 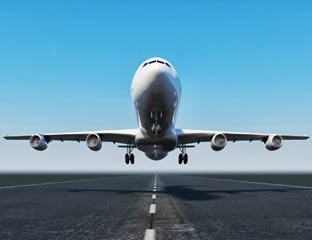 Supporting this reality is Janice L. Jacobs, Assistant Secretary of State for Consular Affairs for the United States Department of State who writes, "Very few options exist for parents and children who are victims of parental child abduction." Ms. Jacobs also stated, "Unfortunately, current trends reflect a steady increase in the number of international parental child abduction cases and highlight the urgency of redoubling efforts to promote compliance with [Hague] Convention obligations and encourage additional nations to join the Convention." Ernie Allen, President and CEO of the National Center for Missing and Exploited Children and International Centre for Missing & Exploited Children has previously stated, "The problem of missing, abducted, trafficked and sexually exploited children is large, growing, under-recognized and under-reported" Mr. Allen observed, "Children are the single most victimized segment of our population. Even with all of the progress we have made, most Americans still don't understand that basic fact. According to Justice Department research, more than 2,000 children will be reported missing in the United States today!" Additionally, Mr. Allen stated, "The numbers are staggering. The tragedies continue and too many children do not make it home." Mr. Martin Waage, Director of ABP World Group, a leading global security, investigation and child recovery organization with an incredible track record of participating in the safe reunification of over 200 criminally internationally abducted children with their targeted parents, and who has contributed to 'THE WORLD TURNED UPSIDE DOWN' states, "Over many years, my organization has seen the rapid increase of criminal international child abductions throughout the world. One of the great challenges we are aware of is that targeted parents who are trying to protect their children from international kidnapping or who have had their child criminally stolen abroad is a lack of cohesive information on what to do if your child is at risk or is stolen. There are, in reality, not many efficient options, and timing is critical. Peter Thomas Senese and Carolyn Ann Vlk's remarkable efforts to create this resource will have a substantially beneficial impact on the global community. I applaud their voluntary work and commitment in creating 'THE WORLD TURNED UPSIDE DOWN' and further acknowledge their ongoing research projects that have an intended end-result to create new laws that will aid children everywhere. International parental child abduction is a well-documented act of child abuse surrounding a series of criminal acts by the abducting, scheming conspirator. ABP World Group looks forward to continuing in our global efforts of preventing this type of crime from occurring against children, as we are committed to adding to the evolution of 'THE WORLD TURNED UPSIDE DOWN's' living library"
Patricia Lee, a renown international family law attorney who has successfully navigated a substantial number of international child abduction cases all over the world and who is based in Tampa added, "The World Turned Upside Down" is an incredible resource, with awesome possibilities for growth and interactive commentary in the future. As an attorney working in the international arena of child abduction, I bookmarked it to my desktop as an immediate reference tool in dealing with child abduction cases. I do not know of any other similar comprehensive resource so freely available to families victimized or threatened with child abduction. Most families, and often the lawyers and law enforcement personnel they turn to for help, do not know what should be done preventatively, during, or following a child abduction, or even where to turn for help. This ebook contains a much needed wealth of information to address this heartrending problem, which is growing exponentially as our world shrinks. It is also capable of being updated as pending preventative legislation, such as the WHTI, is passed. Thank you so much for your efforts Peter Senese and Carolyn Vlk!" Gloria Nyberg, a leading child abduction prevention advocate who has participated in a substantial number of international parental child abduction reunifications and who has acted endlessly to prevent targeted children from becoming victims of criminal child abduction stated, "For many parents who face having a child abducted abroad, the maze of complex legal and personal issues they must immediately attempt to navigate can be devastating. The challenges are magnified many fold due to the fact that most every parent does not expect for this crime against them and their child to happen. They are typically victims of a well-conspired fraudulent plan. 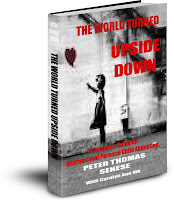 By creating 'THE WORLD TURNED UPSIDE DOWN', Peter Thomas Senese and Carolyn Vlk are providing the world with yet another very special gift: a remarkable resource guide that will help a tremendous number of people, including parents and children facing this type of crime. Combining this publication with the extensive previous research reports and educational documentary film Peter and Carolyn have previously created or published, along with their tireless effort to create and implement new laws that will serve children everywhere, their efforts have and will continue to bring positive awareness of the dangerous and growing issues at hand." David B, a father who successfully reunited with his previously abducted child commented, "IPCA is a severe crime against both the child and targeted parent. The malice of an abducting parent is well documented by leading experts and government officials in the United States and elsewhere. The fact is, international child abduction is a criminal act of kidnapping. The severity of this crime can be long lasting for the child. Today, we need to uphold the criminal statutes in place in order to protect our children. Those individuals known to have criminally abducted a child internationally should not be allowed back in the country due to the severity of their crime and the likelihood that they will attempt to re-abducted a child once again: an occurrence that is well documented. 'THE WOLRD TURNED UPSIDE DOWN' is an incredible resource guide that not only will help targeted parents, but will educate policymakers as to just how bad and dangerous this situation really is. The book's free release and the material contained in it demonstrates how deeply committed and knowledgeable Carolyn Vlk and Peter Senese are to helping children everywhere." A. Castro, whose child was previously criminally abducted to Europe, successfully reunited with his child, to only need to act again to prevent a second abduction added, "The failure by courts and their judges to understand the gravity of international parental child abduction and the ease of which a parent can criminally abduct a child has led to the substantial spike in the number of tragic abduction cases. The information contained in 'THE WORLD TURNED UPSIDE DOWN' and the selfless and dedicated efforts of Carolyn Ann Vlk and Peter Thomas Senese to provide assistance to targeted children and parents like myself is incredible. This publication is an extremely helpful resource guide every person involved in child abduction should read." Eric Kalmus, the co-founder of The Japan Children's Rights Network , said "Peter, and Carolyn's work with 'The World Turned Upside Down' will dramatically curtail the ease Japanese parents flee North America. Children removed by air account for over 50% of the losses Left Behind Parents with children in Japan currently face. The outlook for parents of children criminally kidnapped abroad seeking to reunite with their kidnapped children is tragically alarming. For instance, there are over 350 criminally abducted U.S. and Canadian child-citizens illegally detained in Japan right now. In our history, no U.S. or Canadian child who was abducted from either the U.S. or Canada has ever been legally returned home with help from the Japanese government or court systems. Sadly this occurs even when there are already family court orders in place." Amanda B, a mother presently at risk of having her young children abducted to the Middle East added, "The selfless efforts of Peter Senese and Carolyn Vlk have made a direct impact on the safety and welfare of my children. I am grateful for their direct assistance on my and my children's behalf: today my children are safe at home, and I am extremely grateful. 'THE WORLD TURNED UPSIDE DOWN' is such a vital resource that parents like myself, who are at risk of having their children internationally abducted, can turn to. It is an incredibly useful tool written by two caring child advocates who give of themselves freely in order to help others." Maurizio R, who is presently chasing the nightmarish cyclone of international parental child kidnapping and the incomprehensible legal and prejudicial maze many targeted parents unfairly face while trying to protect their criminally victimized child said, "Thanks to 'THE WORLD TURNED UPSIDE DOWN' and the admirable efforts of it's authors Peter Senese and Carolyn Vlk, we have a real manual that tells us in detail a substantial amount about the world of international parental child abduction. As a parent involved in a case of international child abduction, I can say that this book is a precious help to all who are subject to the horror of having a child kidnapped abroad. And as for Peter, I can say that I found on the other side of the world a person who has opened his heart to me, helped me as I continue to reunite with my child, and who has made me feel less alone in this terrible experience." Jill Jones Soderman, PHD the Executive Director of 'The Foundation For The Child Victims Of The Family Courts' (501c3), and the Founder of 'The Family Resolution Center', located in Chester, New York, which focuses on issues surrounding children, including international child abduction and parental alienation added, "Peter Thomas Senese and Carolyn Ann Vlk have committed a significant portion of their lives and personal resources to the intervention and prevention of child abduction. As part of such efforts, Peter and Carolyn have written one of the most comprehensive, understandable written works bound by groundbreaking and landmark research on a plethora of issues surrounding the criminal act of international child abduction. In 'THE WORLD TURNED UPSIDE DOWN' Peter Senese and Carolyn Vlk's commitment toward defenseless children and their targeted parents is undeniable, extraordinarily impactful, and speaks volumes from the loving hearts of Peter Senese and Carolyn Vlk. 'The Foundation For The Children Victims Of The Family Courts' looks forward to contributing to the ongoing resource guide 'THE WORLD TURNED UPSIDE DOWN' as this incredible evolving open-tablet E-book will make a positive difference against the war on international parental child abduction and child abuse." 'THE WORLD TURNED UPSIDE DOWN' is available for free download on best-selling author Peter Thomas Senese's official website (http://www.peterthomassenese.com/), the official website of Senese's 'CHASING THE CYCLONE' (www.chasingthecyclone.com), and on numerous websites including 'International Parental Child Abduction Information' (www.internationalparentalchildabduction.info). Also available on these sites is the educational documentary film 'CHASING PARENTS: RACING INTO THE STORMS OF INTERNATIONAL PARENTAL CHILD ABDUCTION' created and narrated by Peter Thomas Senese, and co-produced by Carolyn Ann Vlk, along with various helpful information. 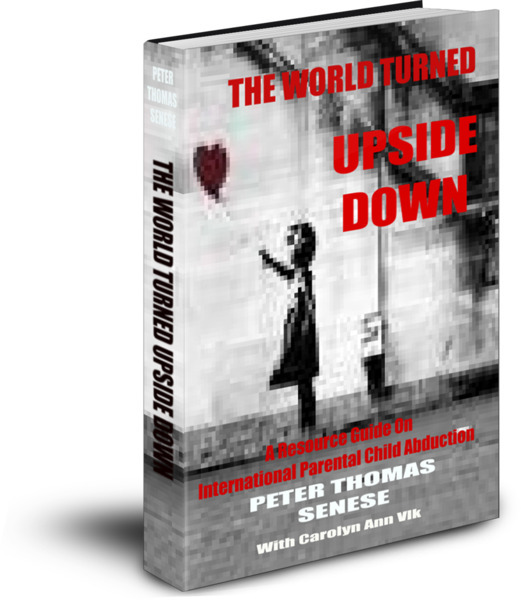 Best-Selling Author Peter Thomas Senese added, "Carolyn and I are pleased to publish the open-tablet E-book 'The World Turned Upside Down' as we continue our efforts to prevent the acts of international child abduction. We recognize that our efforts are only part of the great effort put forth by a global community interested in protecting children everywhere. We thank all those who have demonstrated great courage and leadership in this area, we feel deeply for those children who have been victimized by the malicious acts of abduction along with their parents who have or who are presently chasing the nightmarish cyclones of international child abduction, and we look forward to participating in efforts that will create new laws and policies focused on protecting targeted children and their parents from abduction."